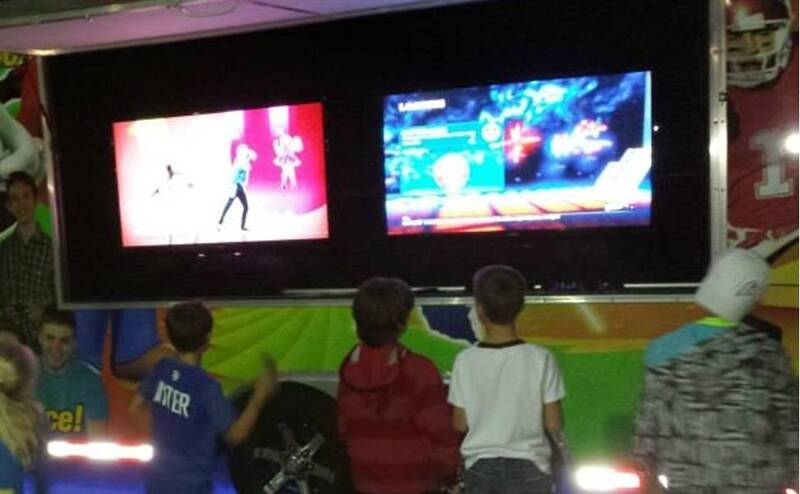 The Game Trucks R' Us mobile video game theater provides the ultimate no stress – no mess birthday party experience! 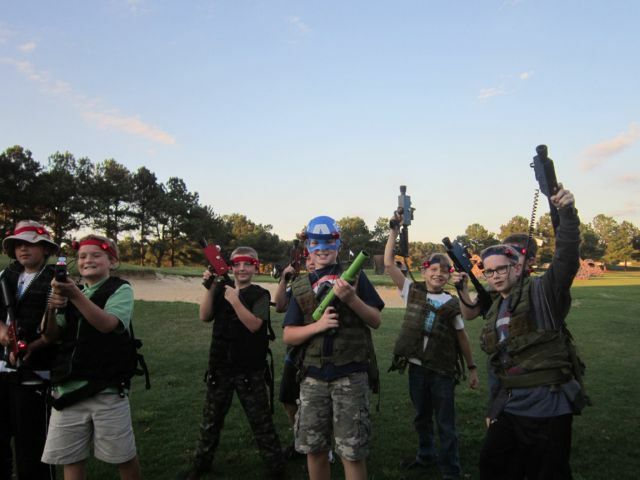 We will make your next birthday party special, whether for a kid, or for a kid at heart. Your birthday boy or girl will be thrilled beyond compare when our limousine-styled video game theater rolls up to your curb or driveway! Inside our Mobile Game Theater, we provide comfortable stadium seating for up to 24. With our high tech video and audio, up to 28 kids can play games simultaneously on our 7 game stations. 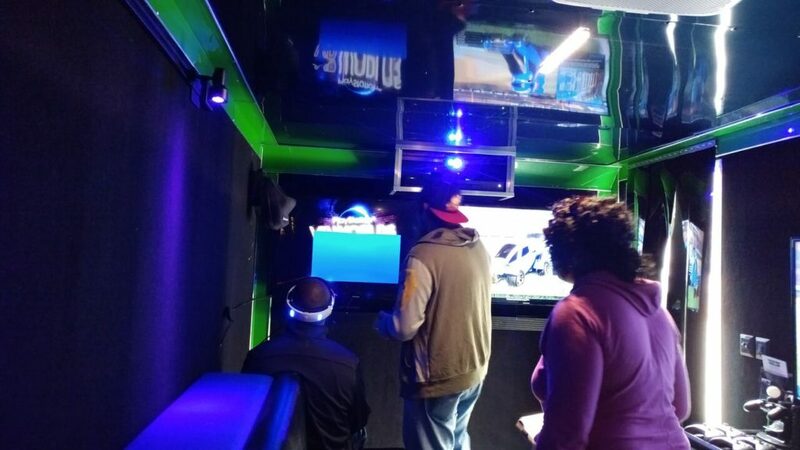 Our mobile game theater is climate controlled, so we’re ready to party year round! 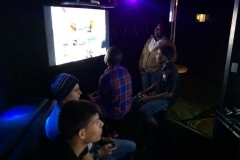 View our Mobile Game Theater Photo & Video Gallery here! Regardless of the weather outside, the temperature inside will provide year round comfort! The Game Trucks R' Us Video Game Theater is fully air conditioned for those hot summer days and heated for chilly times. 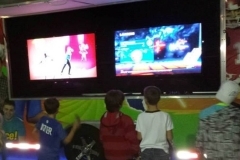 We have 5 high-definition screens inside our unit and two more outside so players can enjoy dancing and sports games like Just Dance 2017, Madden Football and FIFA Soccer! 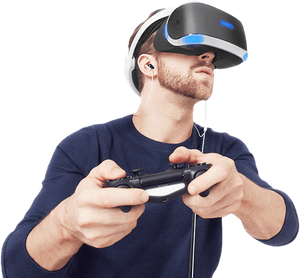 For a full blown multi-player experience, our game theater has 5 gaming stations on the inside that support up to 24 players with space available for additional friends to watch the fun on our stadium seating. In addition, when weather permits, there are 2 more gaming stations on the outside that will support up to 8 additional players. 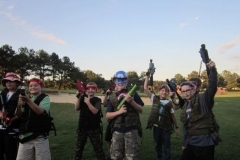 Click here for Birthday/Family/Private Party Pricing. 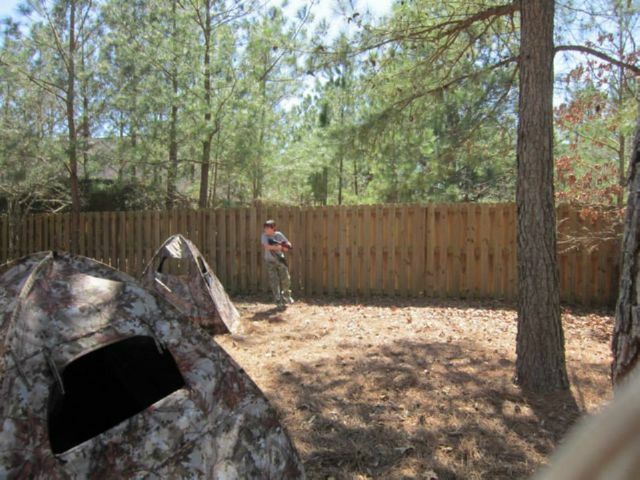 Click here for Corporate/Promotional Pricing.